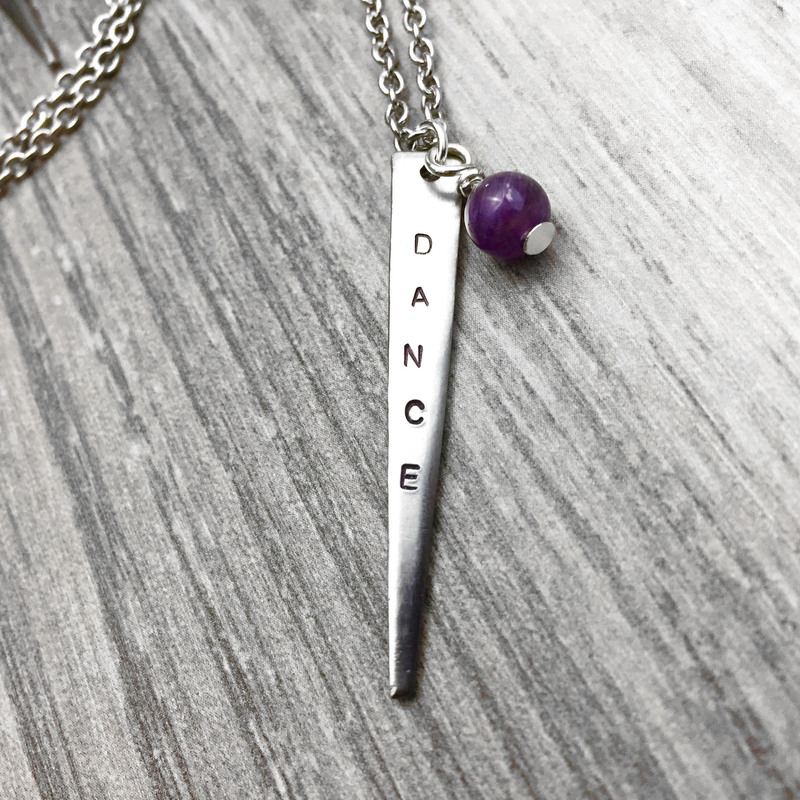 Feminine and dainty yet tough, these pretty little ‘dance’ necklaces are perfect for sporting a little dance pride. 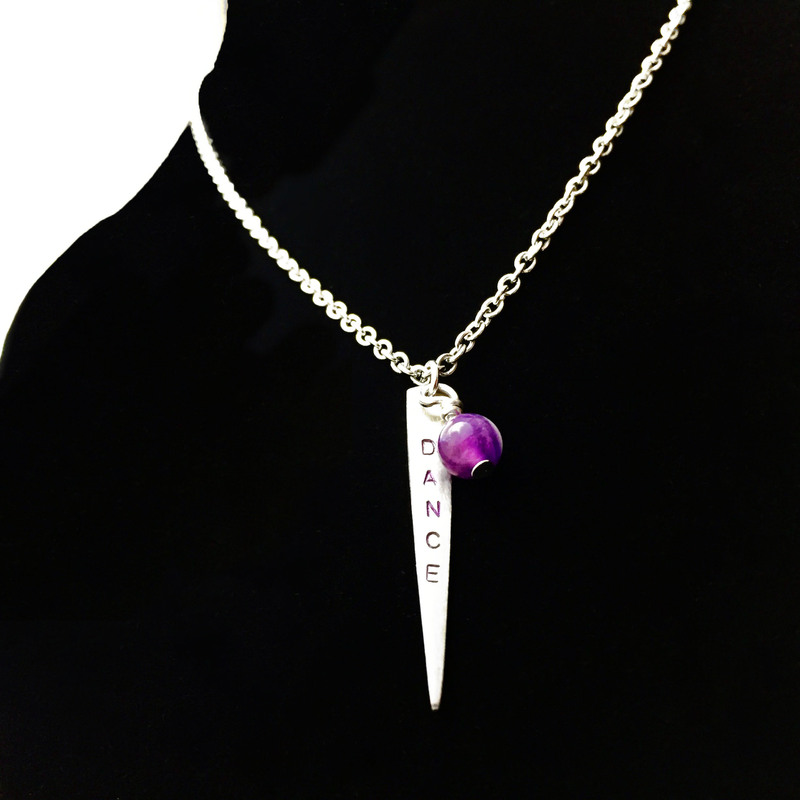 Hand stamped ‘dance’ mini fangs are garnished with hand-wrapped amethyst beading and fitted to 16 inches of heavy duty chain laying elegantly at the neckline. 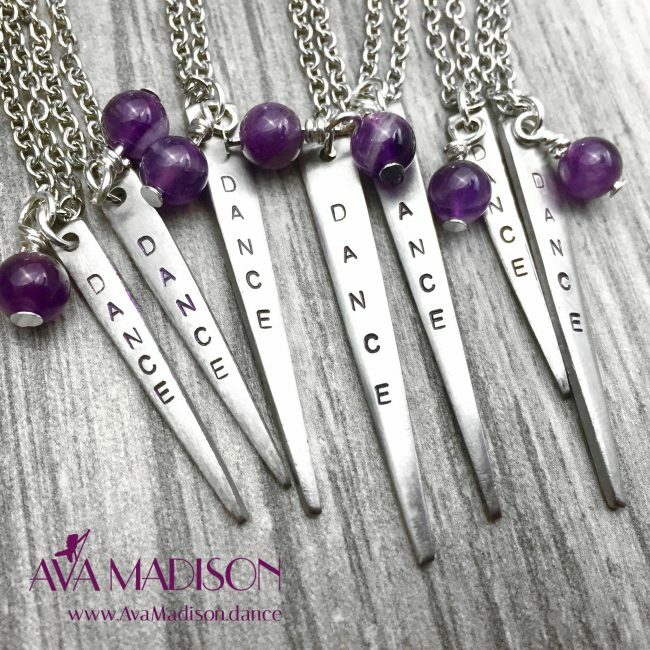 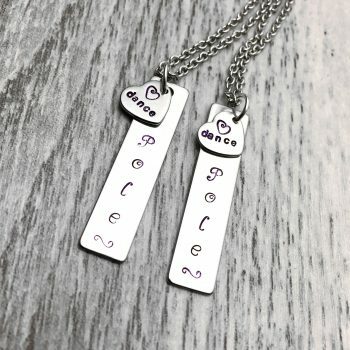 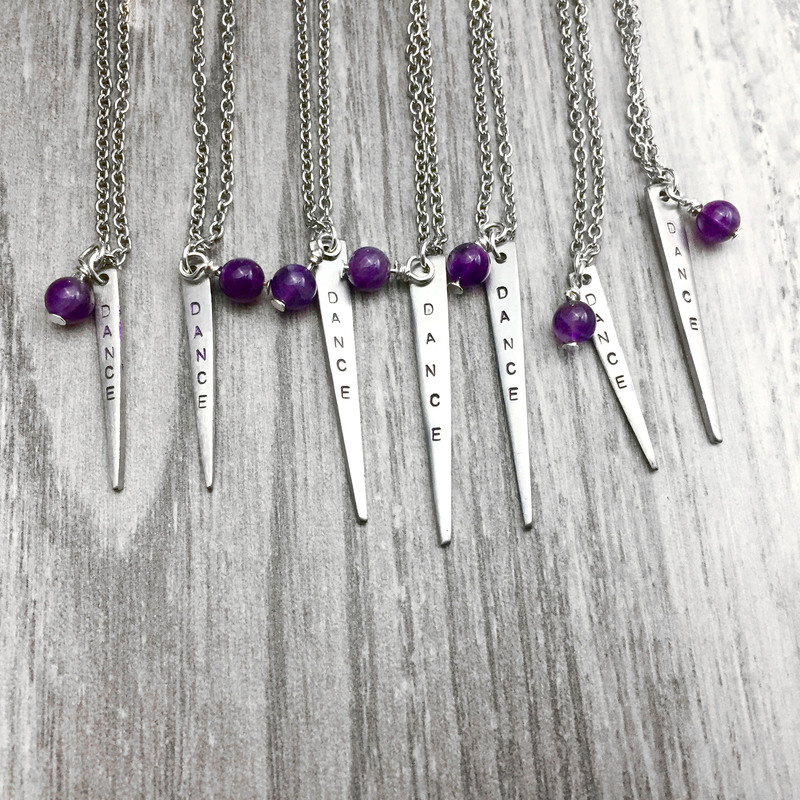 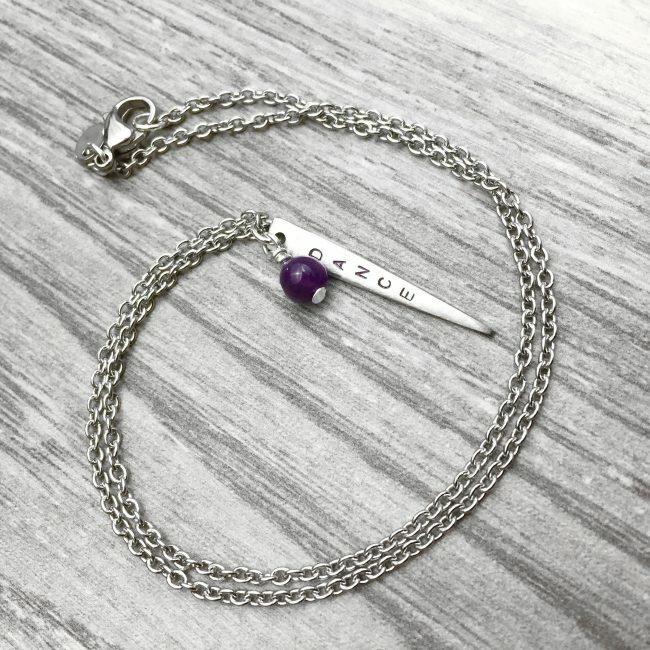 Pendants measure approximately 1 1/4 to 1 1/2 inches (deep purple colored hand stamped lettering).